We are the bearers of sad news today having found out that former Rotherham United inside-forward Danny Williams has passed away at the age of ninety-four. Born in Maltby, Rotherham Danny began his career at Millmoor in 1945 going on to make four hundred and sixty-one league appearances, which is a Rotherham United record, for the Millers with his final game being in 1960. Alongside playing for the Millers Danny also, like many others of his era, worked down the pit at Silverwood Colliery often coming straight from there, on public transport, to play at Millmoor. Stopping with Rotherham, Danny turned down the opportunity to play for Arsenal and Leicester and was asked to play for Wales but politely pointed out, despite his name, he wasn’t Welsh. He helped the Millers to promotion in the 1950/1 season and was there when they just missed out on promotion to the top division, now the Premier League. After being player/coach for the Rotherham Reserves he took over the first team in 1962 resigning in 1965 when the club sold ‘his’ players which he was very much against. From Rotherham he went on to manage Swindon Town in 1965 leading them out at Wembley in the 1969 League Cup Final against the ‘mighty’ Arsenal who Town went on to beat three-one. From Swindon he moved back to South Yorkshire with Sheffield Wednesday and then to Mansfield Town before returning to Swindon in 1974 but couldn’t help them stave off relegation. He stayed with Swindon until May 1978 when he was moved upstairs as General Director. 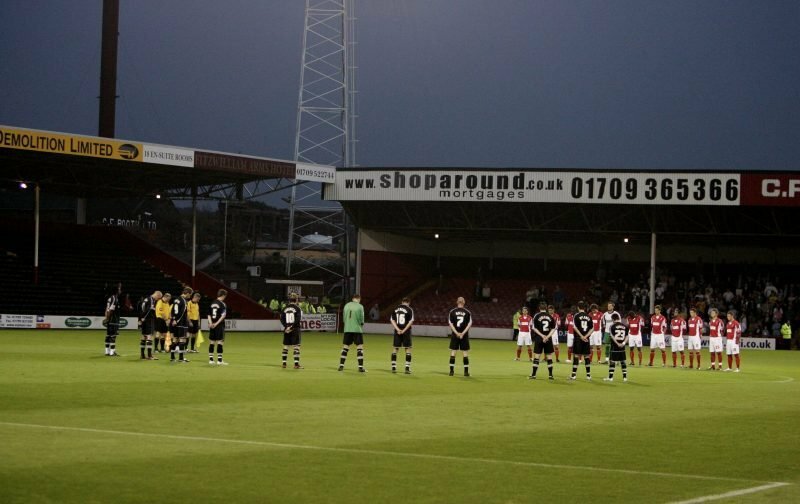 Danny will always be remembered as a Rotherham legend. Our thoughts are with Danny’s family and friends at this time.